Tolkien thought there were too many elements that clashed: a Father Christmas and an evil witch, talking animals and children. 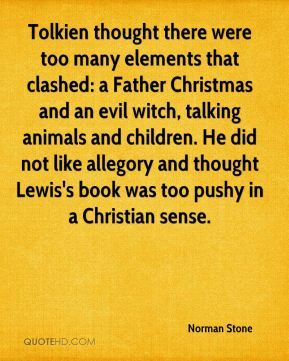 He did not like allegory and thought Lewis's book was too pushy in a Christian sense. My father has never been like this before. But it must be somebody who loves you. 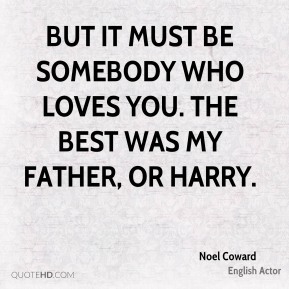 The best was my father, or Harry. 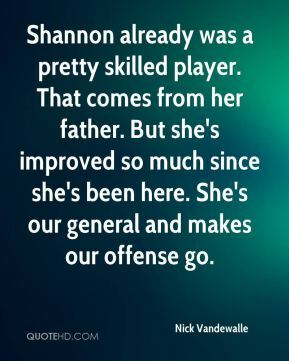 Shannon already was a pretty skilled player. That comes from her father. But she's improved so much since she's been here. She's our general and makes our offense go. 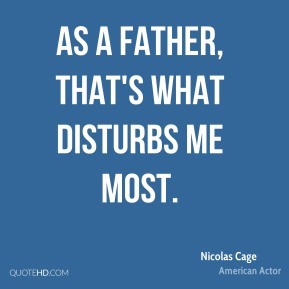 As a father, that's what disturbs me most. And obviously, I've seen my father do some magnificent work. When I was a child, my father always said, 'Well done boy!' 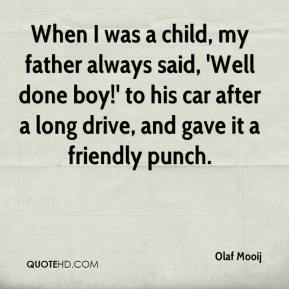 to his car after a long drive, and gave it a friendly punch. I'm about caring, I'm about people, and I'm about entertaining people. I'm a family man. A husband. A father. I've been a lot of other things over the years, which we don't really want to talk about. I'm always working on trying to better myself, you know? I think that that is an ongoing thing with me. 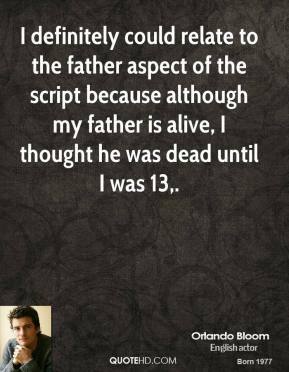 I definitely could relate to the father aspect of the script because although my father is alive, I thought he was dead until I was 13. 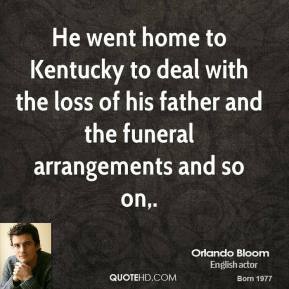 He went home to Kentucky to deal with the loss of his father and the funeral arrangements and so on. 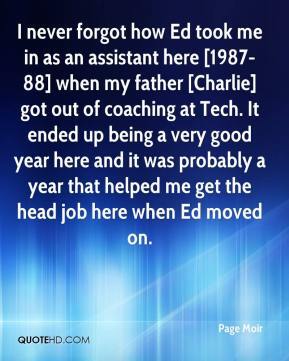 I never forgot how Ed took me in as an assistant here [1987-88] when my father [Charlie] got out of coaching at Tech. It ended up being a very good year here and it was probably a year that helped me get the head job here when Ed moved on. 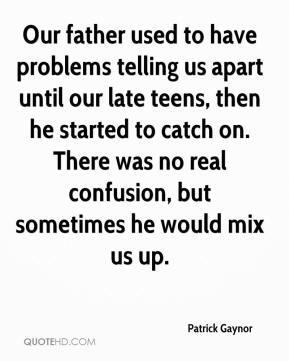 Our father used to have problems telling us apart until our late teens, then he started to catch on. There was no real confusion, but sometimes he would mix us up. 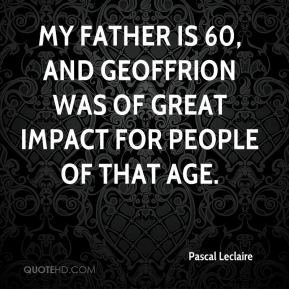 My father is 60, and Geoffrion was of great impact for people of that age. Right now he's in heaven. 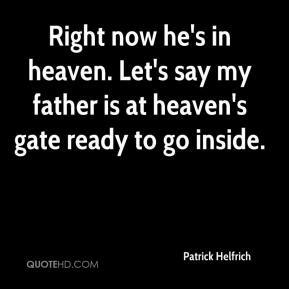 Let's say my father is at heaven's gate ready to go inside. 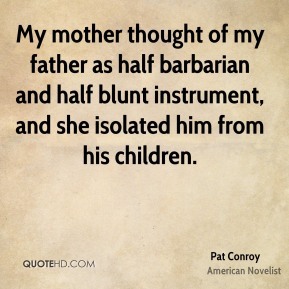 My mother thought of my father as half barbarian and half blunt instrument, and she isolated him from his children. 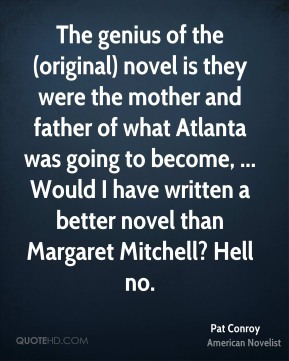 The genius of the (original) novel is they were the mother and father of what Atlanta was going to become, ... Would I have written a better novel than Margaret Mitchell? Hell no. He's a very loving father. He took care of his kids. 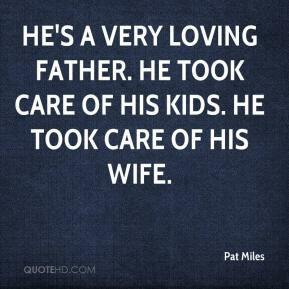 He took care of his wife. 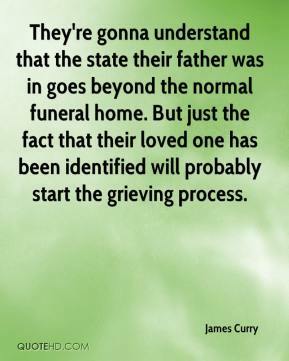 They're gonna understand that the state their father was in goes beyond the normal funeral home. But just the fact that their loved one has been identified will probably start the grieving process. 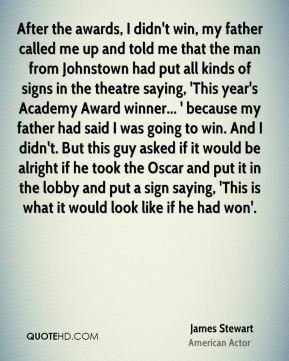 After the awards, I didn't win, my father called me up and told me that the man from Johnstown had put all kinds of signs in the theatre saying, 'This year's Academy Award winner... ' because my father had said I was going to win. And I didn't. But this guy asked if it would be alright if he took the Oscar and put it in the lobby and put a sign saying, 'This is what it would look like if he had won'. My mother approved, my father just didn't accept the idea of my being an actor. 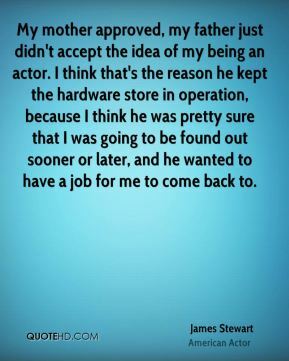 I think that's the reason he kept the hardware store in operation, because I think he was pretty sure that I was going to be found out sooner or later, and he wanted to have a job for me to come back to. 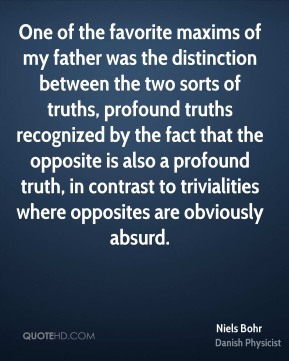 Even though my father never made millions of dollars, he was rich in so many ways. 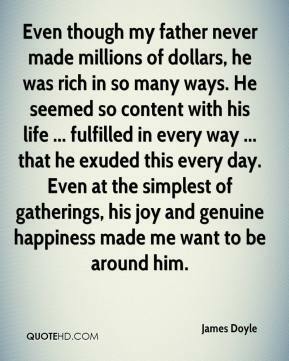 He seemed so content with his life ... fulfilled in every way ... that he exuded this every day. Even at the simplest of gatherings, his joy and genuine happiness made me want to be around him. 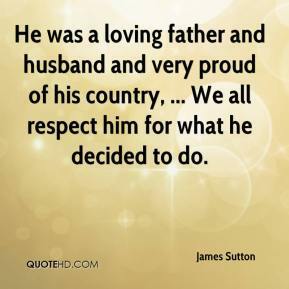 He was a loving father and husband and very proud of his country, ... We all respect him for what he decided to do. My father had a pat answer: I'm extremely proud of all my three children. 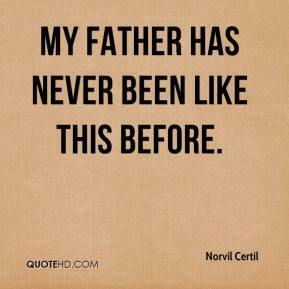 Both my mother and father were very supportive of any career move any of us wanted to make, ... The nice thing about my father is that he spent a lot of time with his children. We had a good time with my father.